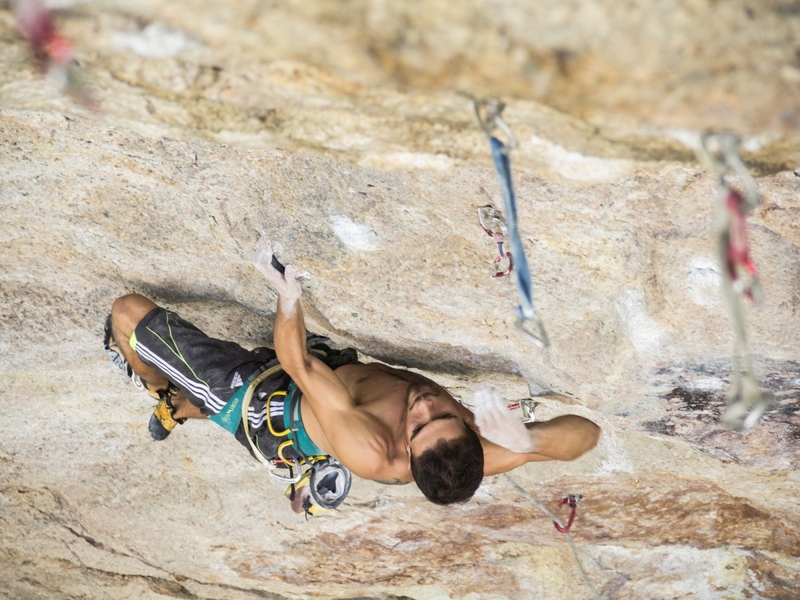 Anghelo Bernal Quintero is a professional climber of 24 years, born in Salamina – Caldas, who at age 17 began to represent the department of Valle del Cauca, a place that welcomed him with open arms to start his career. Anghelo currently lives in Cali, Colombia. He is a student career coach in Sport and climbing frames in the garden ‘Workshop Anik’, where he teaches to children aged 2-7 years who are beginning to take their first steps in this sport. 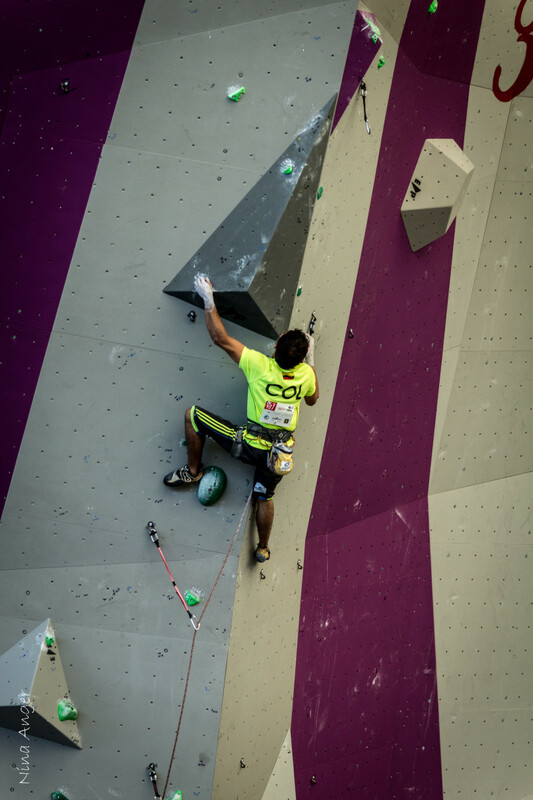 The climber is part of the technical committee of the World Cup climbing wall climbing Cali and works for the company ‘Elements Holds’ with innovative climbing products using environmentally friendly materials and high strength. 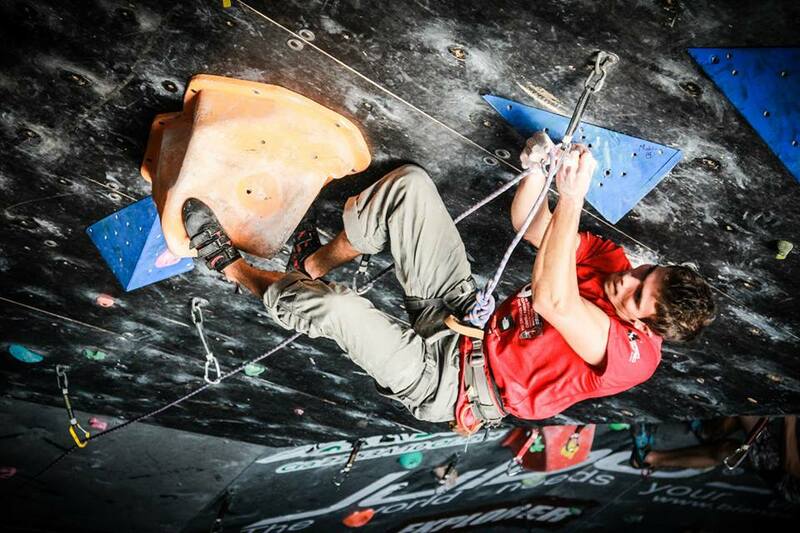 Since childhood I have liked to enjoy nature, animals and adventure and risk practices. 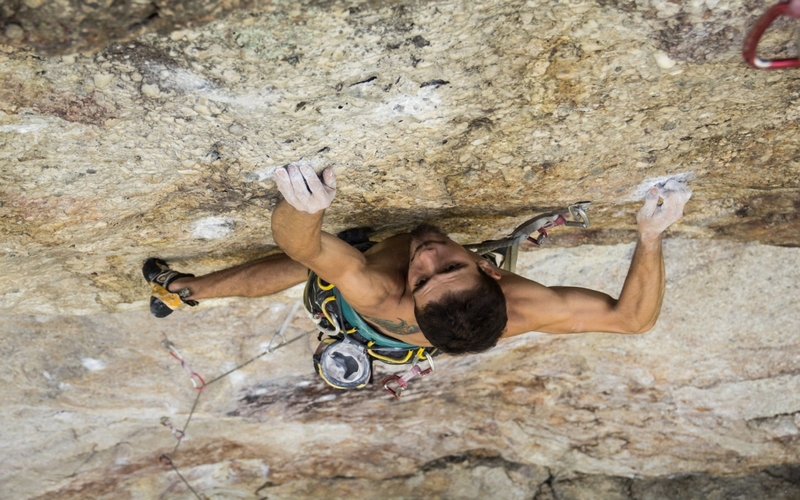 His passion for climbing began when in the summer he traveled to Cali to share it with his family, but found in this discipline the option to display his sporting attitude. 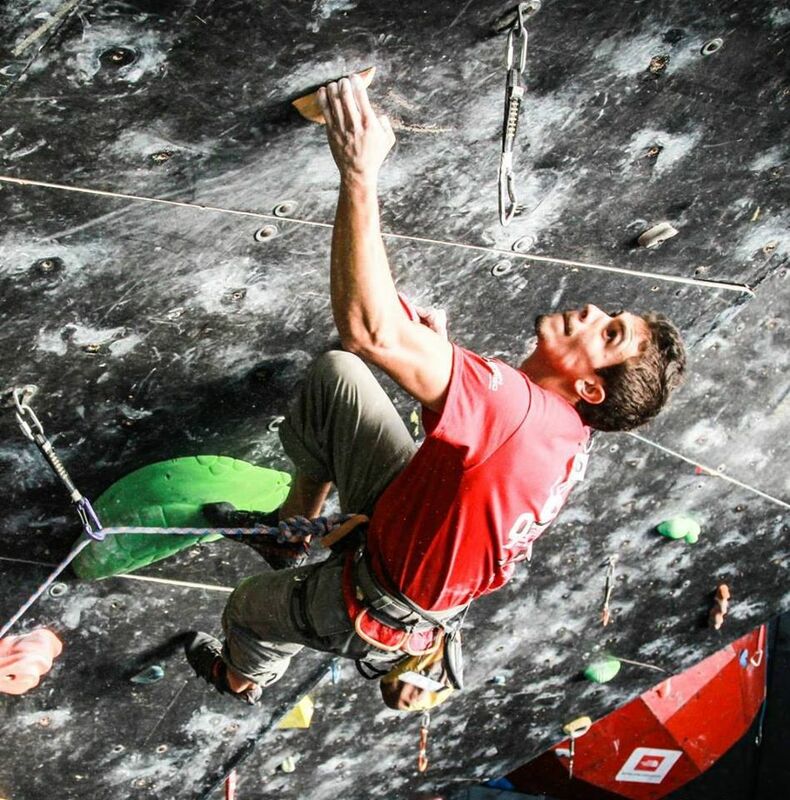 “The thing that struck me to start climbing practice was feeling a huge adrenaline rush in the most difficult steps and finally see that I can reach the top of the route, overcoming all barriers presented”. 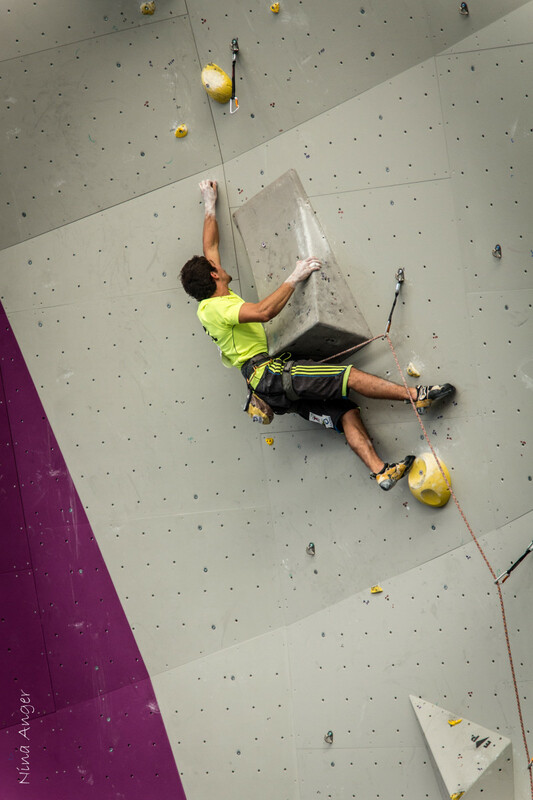 6 years that Anghelo began climbing has established himself in the top 5 of the best Colombians climbers, today he is part of the selection Colombia Climbing and national champion in speed mode with a national record of 8 seconds with 59 mils. The athlete is 1.70 cm and weighs 57 kilograms. His workout routine takes place 5 times a week with an intensity of 4 hours daily, which runs a planned fitness and sequences to enhance his technique in the time scale.Meanwhile, Anghelo continues to train with perseverance and makes every effort to achieve this by 2015 to assist global valid and meet with each of their objectives, particularly if he can raise the money. Day by day I seek to overcome all the limitations that may arise along the way. Formarme also tried personally, recollecting about my mistakes and putting into practice the advice given by all the people around me. I think it is an excellent athlete who is strong both inside and out. My greatest achievement would be at the top of the best sprinters in the world and possibly have time record in this mode, demonstrating my dedication to the sport. The greatest difficulty for me to give continuity to my sport is the lack of income for my sport, solvertar costs which are too expensive in my country. 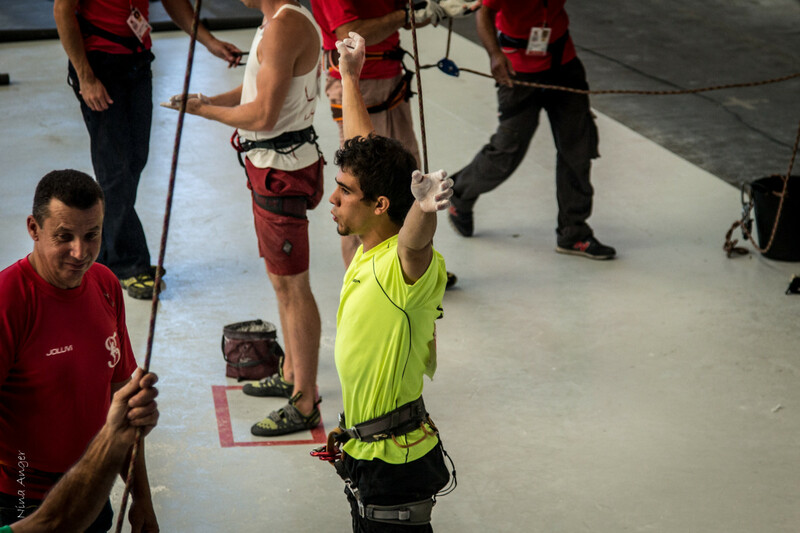 Nor do I have the support of the government, nor enough sponsors to support me financially as part of the Seleccion Colombia Climbing for each of my performances inside and outside the country. 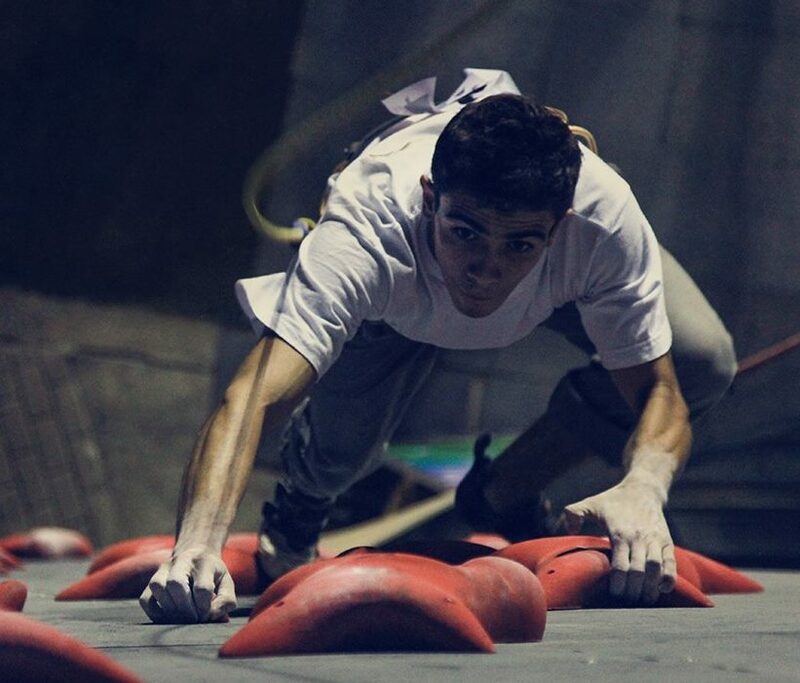 I feel satisfied when I meet a target in my mind between them; climb a higher degree of difficulty normally climb or fall consecutively my time in Speed mode. 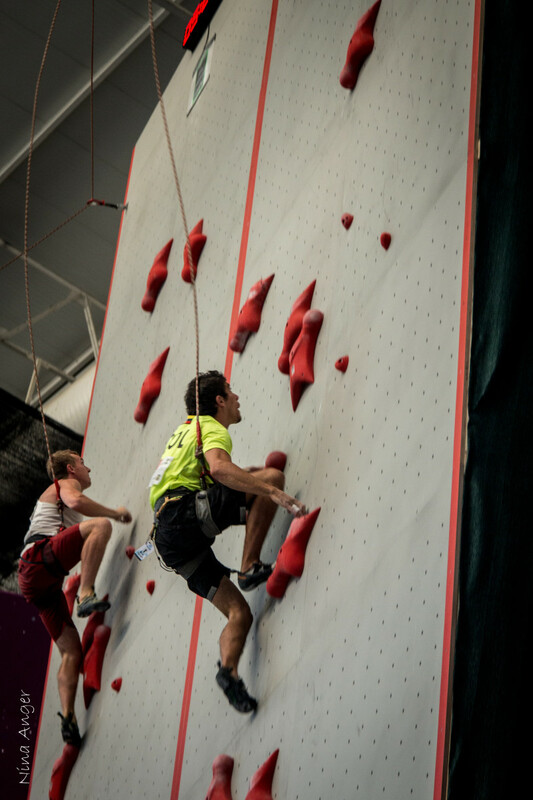 I am member of a group of 12 friends and I practice on a small climbing wall built in my house. 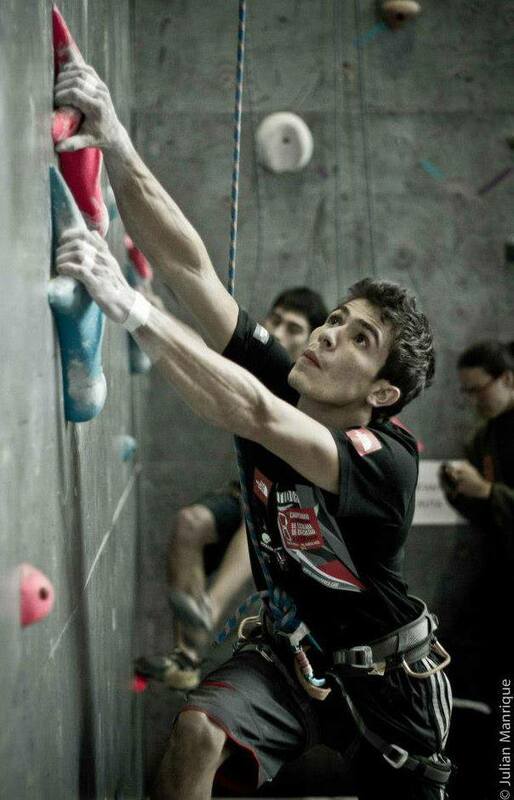 In this place I usually go climbing, whether alone or with others, as despite being small and having basic features, there is everything necessary to successfully develop a good workout routine. Every day I realize that the key to my success has been to have peace within myself so I get a better sports performance, connecting in each of my movements with my body and my mind. 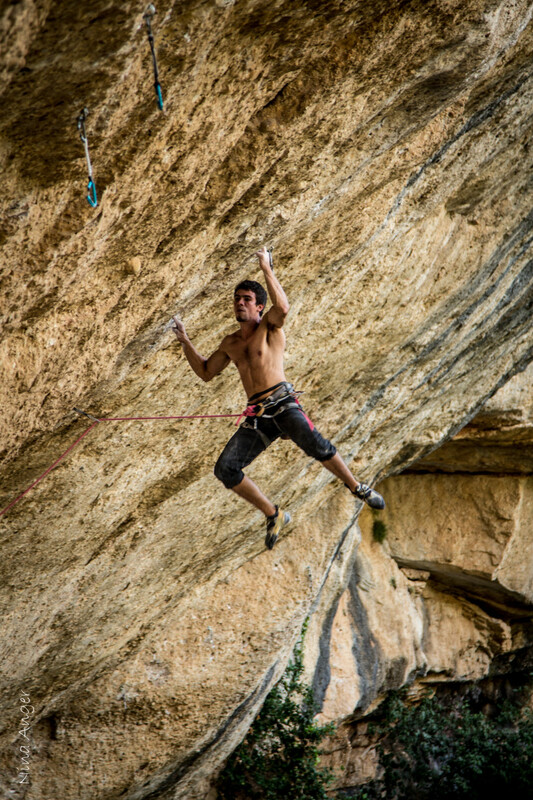 I also realize that I have better results when I enjoy the most of what I do, internalizing all the time climbing as if it is part of me, it helps me to know my advantages and disadvantages, to design my goals and to strive to the maximum by comply. There is no denying that when competing I get nervous, because the adrenaline goes up and you feel a unique sensation when all eyes of the stage are put into one. But the biggest fear I feel in a competition is not being able to overcome my goals set, knowing that there is no greater rival than myself, because if I lock my mind, blocking all thereafter and at that precise moment where the results begin to be negative. My # 1 Fans are my family because they are always attentive to every step I take in my sport, my decayed pending and my triumphs, they are always ready to give me advice how to be the best and help me to find a solution to continue forward smoothly. I have many plans for the future, I am in a dilemma right now I’m working out. But my short term plan is to compete in the different valid for the World Cup in speed and power and occupy the podium of this modality. 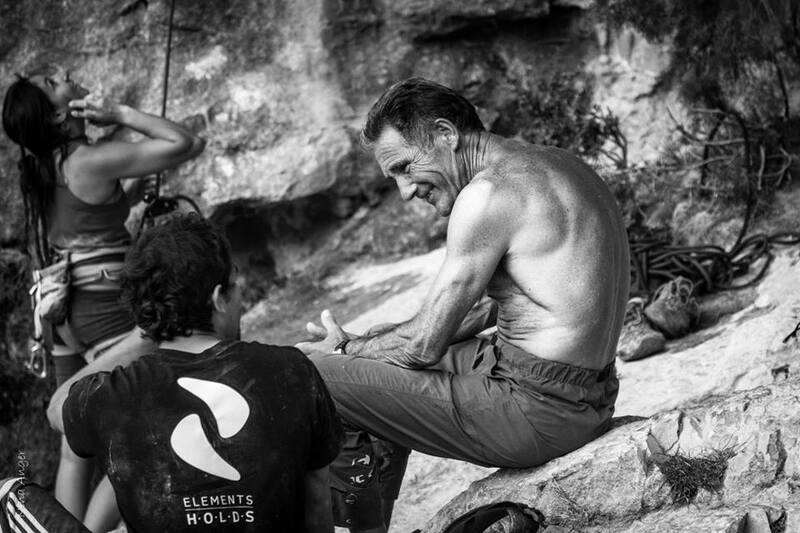 The advice I give to all people who are beginning to climb is that from the outset you should fall in love with the sport as a discipline that requires a lot of dedication and effort. Also those who are always climbing should enjoy what they are doing, not just think they can be competitive because of major disappointments, but go climbing step by step and so it will progress on everything proposed, reaching the top. I am among those who think that you should never look back even to gain momentum.